What is the purpose of the Wooden Filing Cabinets? Our wooden filing cabinets are designed to hold files and folders for your business or home office. They come with a lock and key for storing sensitive material. The large pull-out drawers make it easy to access files from front to back. Store, organise and manage your valuable documents in this classy filing cabinet. 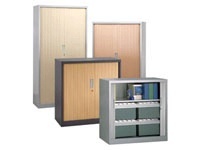 These wooden filing cabinets can be used as an addition to other Fraction Range office products. Where can the wooden filing cabinets be used? Our wooden filing cabinets are designed to be used in an office space. They provide an attractive area for organising and storing important documents. The scratch-resistant finish allows you to use them on a daily basis without damage. Choose from two stylish colour options to match your current furniture. Who might use wooden filing cabinets? Anyone with a business or home office looking for file organisation and storage will benefit from this unit. The drawers are large enough to organise all your vital documents easily. 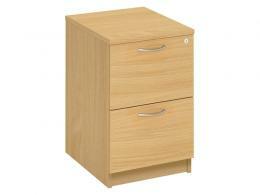 Our wooden filing cabinets come with a standard 1 year parts and labour warranty. You can feel good knowing they are high quality products, which will withstand your filing and organising demands. Additional details are below. We offer FREE assembly of the wooden file cabinets and free shipping to UK Mainland. Unit will be shipped within 10 business days. Order must be placed by 3 pm. Orders placed after 3 pm will be processed on the following day.